These socket drivers are a great addition to any toolbox. The set includes a good range of metric sizes: 4.0mm, 5.5mm, 7.0mm and 8.0mm to suit M2, M3, M4 and M5 hexagonal nuts. The sockets are made from high strength tool steel to reduce rounding and ensure a good fit each time. 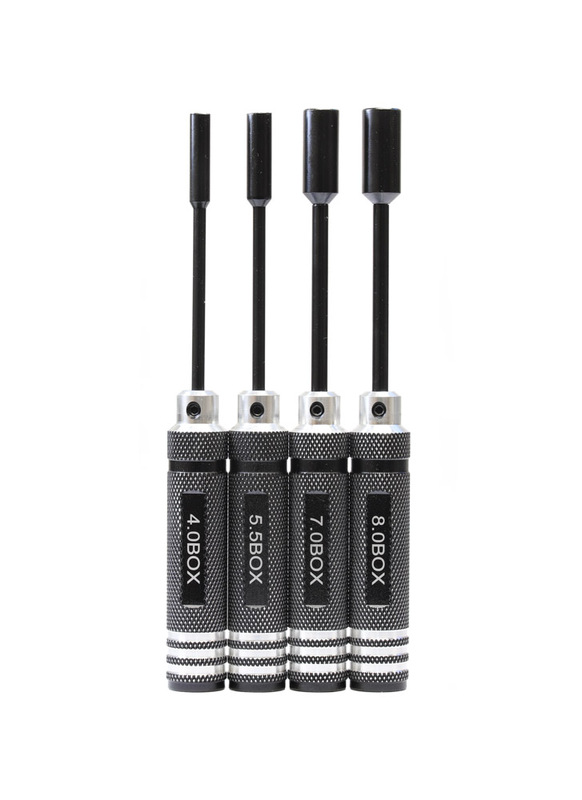 Finally, they have lightweight aluminum handles which are knurled to provide extra grip.